I'd like to thank everyone who stopped by and took the time to participate in the Hot Autumn Nights blog hot. April is the winner of the $5 gift card. 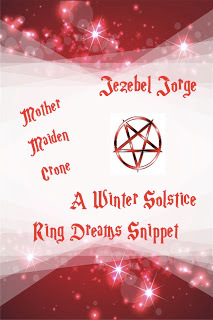 My Winter Solstice short story Mother Maiden Crone is free on Smashwords. Hexed is on sale for only .99 this month on Amazon. Once again, thanks to all who posted and happy reading!